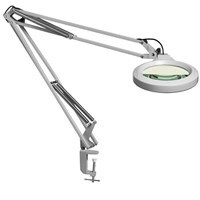 The LFM LED Magnifier is Luxo's most cost-effective addition to its growing line of LED Magnifiers. 7W dimmable LEDs (with a total power consumption of 10W) with a 4000K color temperature guarantees both energy savings and accurate color rendition. 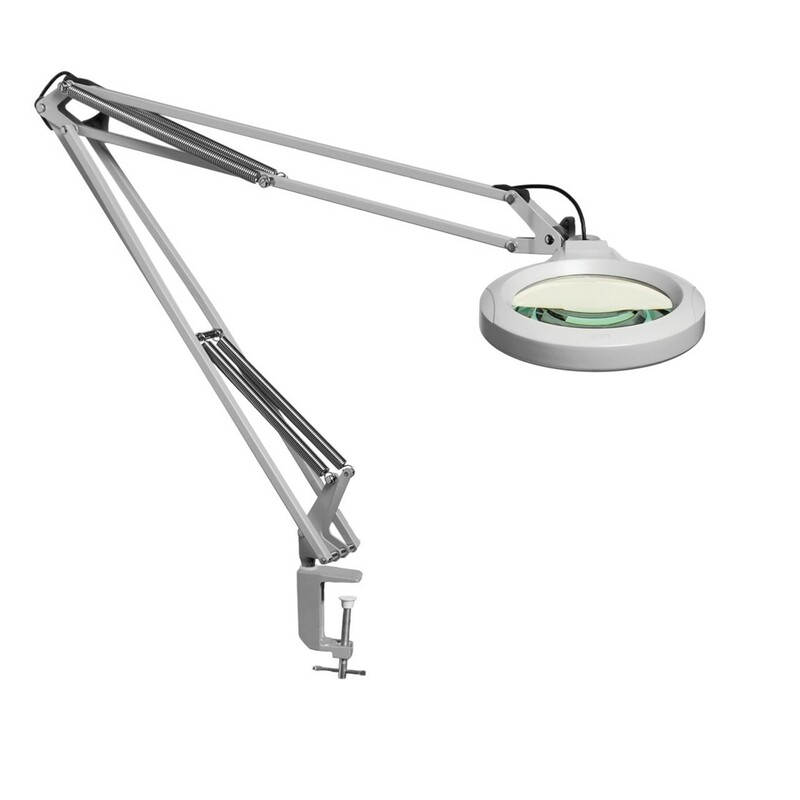 A die-cast aluminum housing and 5" diameter, 5-diopter (2.25x) magnifying lens ensures the LFM LED Magnifier is well-equipped for any inspection or assembly application.